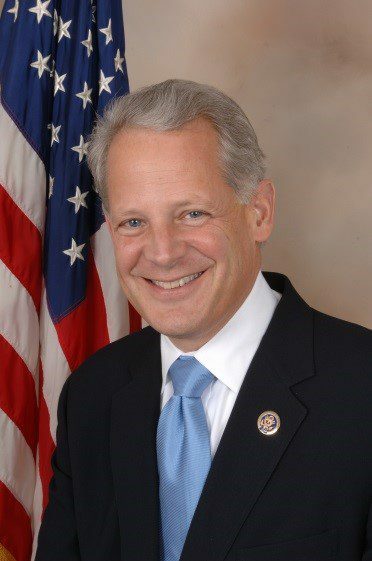 Congressman Steve Israel is Chairman of the Long Island University Global Institute and a university Writer-In-Residence. He was a Member of Congress for sixteen years and served as House Democrats chief political strategist for four. President Bill Clinton called him “one of the most thoughtful Members of Congress.” He also published a critically acclaimed satire of Washington entitled “The Global War on Morris”. His second novel, Big Guns, is expected to be published in 2018 by Simon & Schuster. Israel is a political commentator on CNN. His insights appear regularly in “The New York Times,” “Washington Post,” “Foreign Affairs,” “6O minutes,” “Jon Oliver,” FoxNews, MSNBC and elsewhere. Israel graduated from George Washington University with a BA in Political Science. He has two daughters – one works as a farmer, the other in Pharma. His home is in Oyster Bay, Long Island. Congressman Israel was instrumental in securing passage of funding for the Defense Department to research Alzheimer’s and potential links to bring injuries and post-traumatic stress disorder (PTSD).